← TreeSteward Class of 2012 Celebrates Graduation! You can mulch over soaker hoses, which helps hold the water in ground. 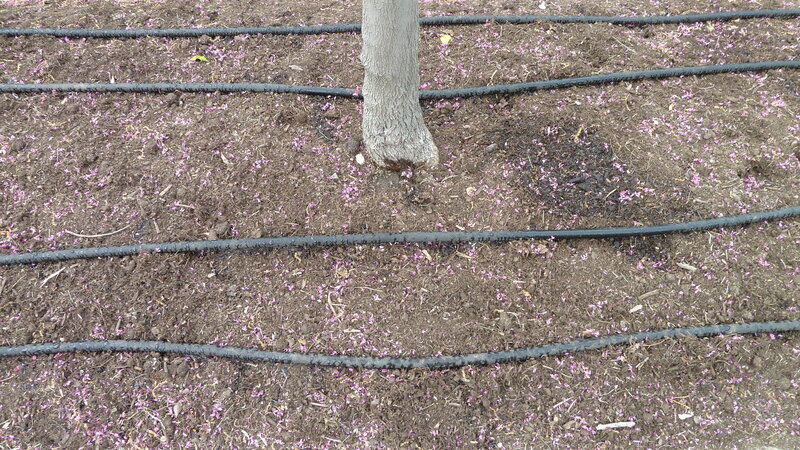 One watering method for trees is using soaker hoses. TreeSteward Steve Campbell shares his experiences below. I’ve installed 100′ lengths of soaker hose under a layer of mulch, snaking it around plants in planting beds. I bring a regular hose over and hook it up to the soaker hose end. One advantage- the soaker hose will efficiently irrigate a larger area than a gator bag/ooze tube. For the soaker hose installed under mulch, (see photo above) it is important to keep the hose fitting covered (plastic bag and a tie) to keep dirt out between uses. To anchor the soaker hoses I bend 10 or 12 gauge galvanized wire into a “U” shape. Also note where you’ve installed it before digging in your garden, using a plant label or good memory. Electrical tape can be wound multiple times if a small leak develops in a hose (rare in my experience). 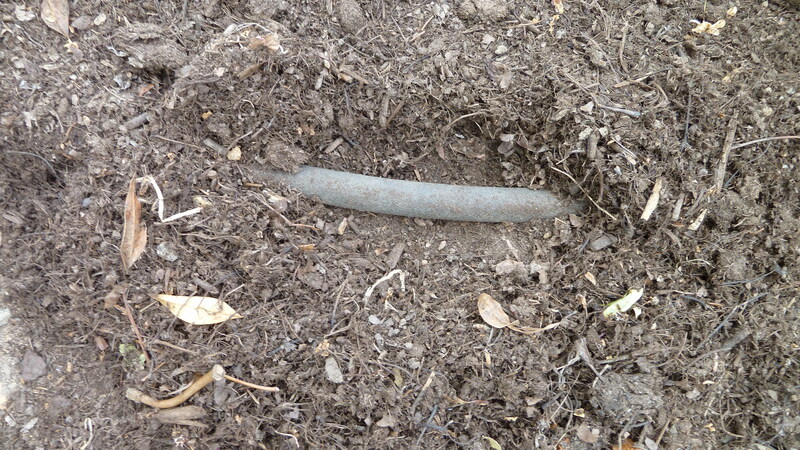 I use a portable, 25′ length hose in more limited situations and just lay it on the ground around the root zone, I water the trees in front of my house using a portable, 25′ length hose and just lay it on the ground around the root zone. (see photo below) I remove the hose after each watering, which is a little cumbersome but it’s worth it to have shade on the street. This entry was posted in Tree Care, Uncategorized and tagged drought, soaker hoses, watering. Bookmark the permalink.